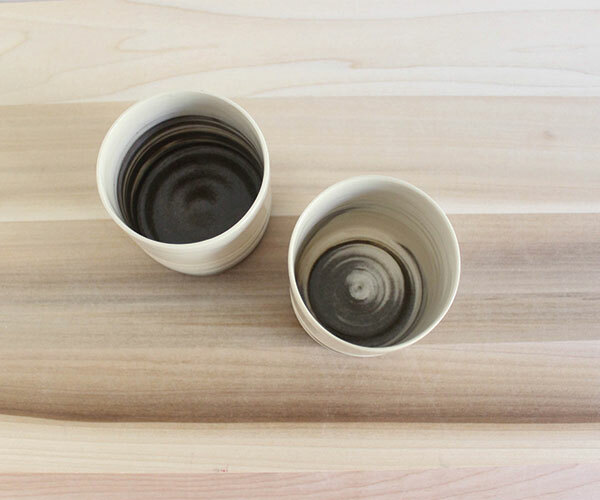 You might see coffee rings but this collection of table top stoneware has natural organic swirls built in. 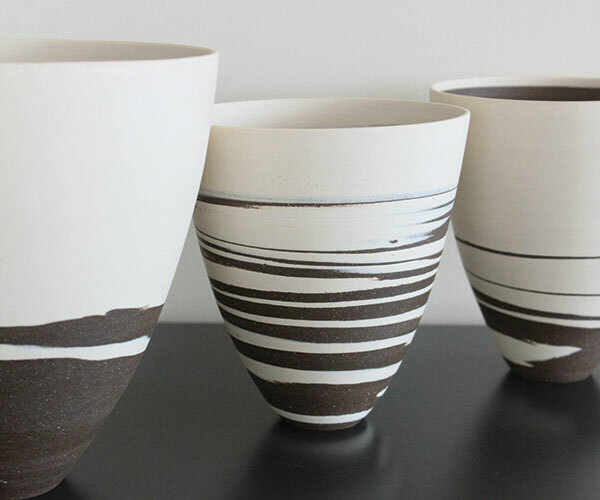 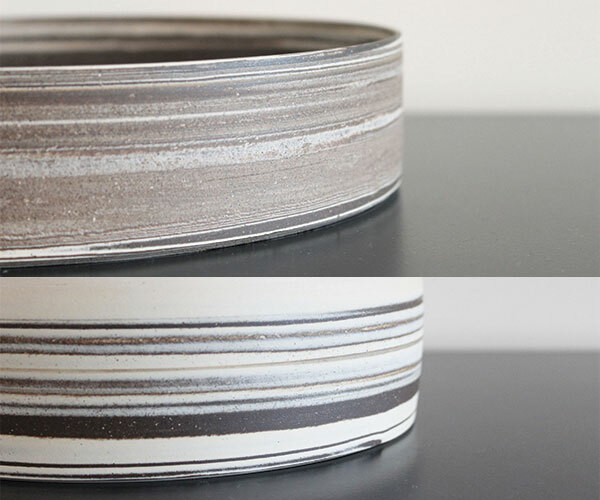 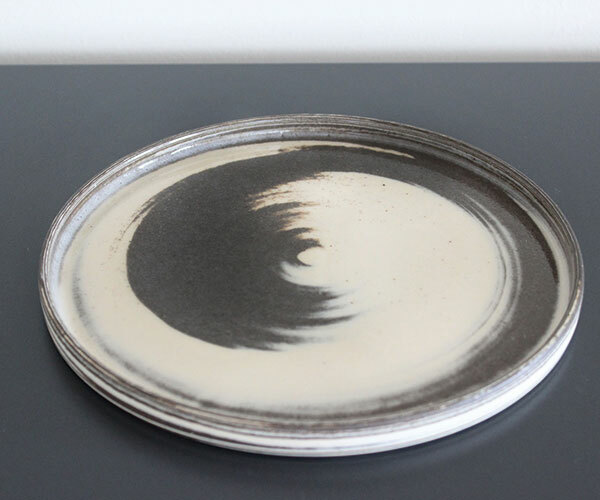 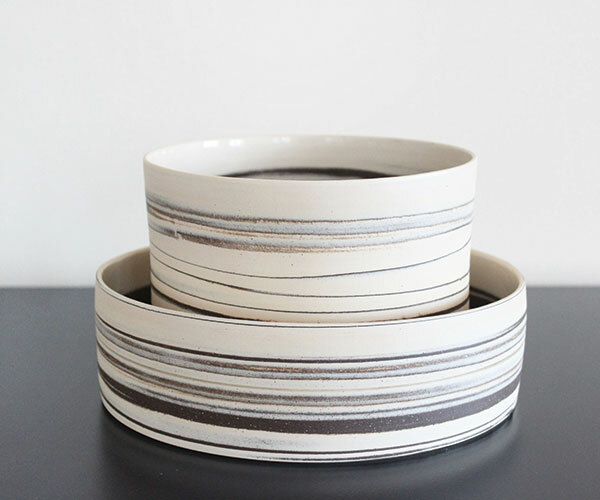 Made by mixing both light and dark clays right on the pottery wheel Julia creates unique patterns that remind you of layers of earth or wood grain. 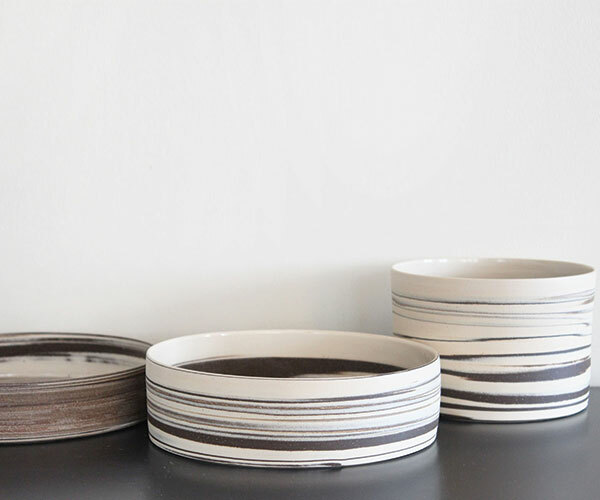 If you are feeling a little less daring then she also has a simple cream collection. 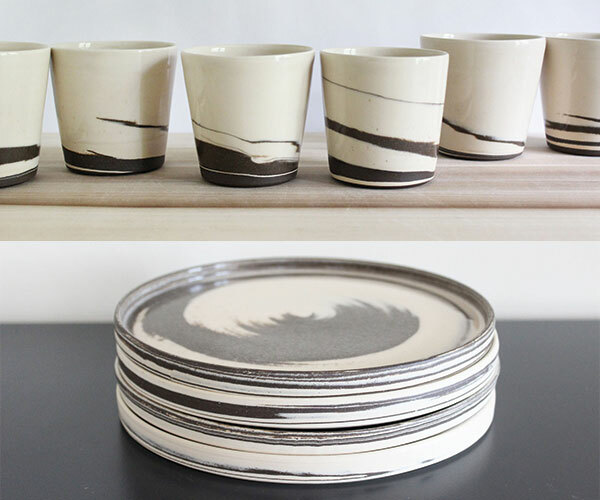 Each is made by hand with lead-free glazes in her Virginia studio. 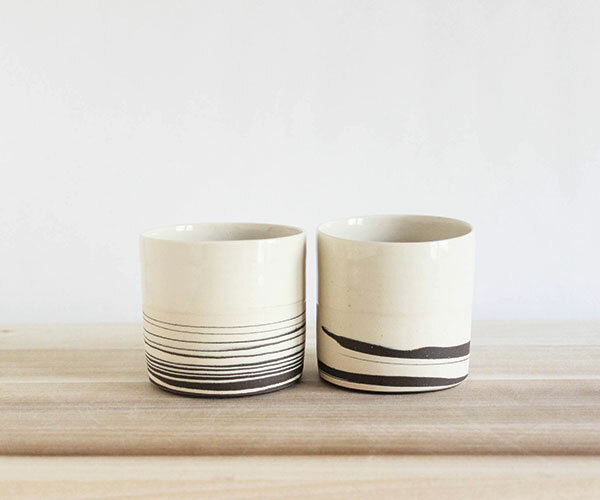 Available at Julia Paul Pottery.